Various types of Washi tapes such as cute patterns and plain are now available. Some people enjoy decorating pocketbooks and miscellaneous goods, and using it for the interior of the room. However, I guess that some people do not know how to use them. In fact, with a little ingenuity, washi tape makes our lives better. This time, I would like to introduce about its usage. Even without the custom of writing a notebook, if you paste it on a note, you can change your feeling. Fashionable, girl-like notebooks would be completed. Why do not you make handcrafted message cards and postcards that are full of feelings. Your individuality comes out in design. People who got it would surely feel warm. Wrap it with tape on pens or USB! Make it with your sense! 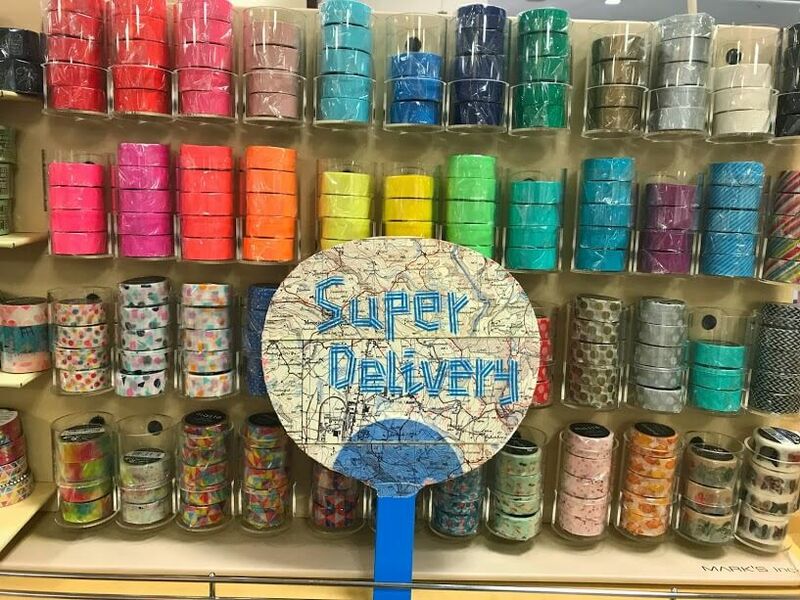 Add cuteness Washi tapes designed uniquely with sweets as gifts. Although it is a bold idea, cut finely the pattern as you like and paste it on your nail, finally apply transparent nail polish. That is all! Paste it on posters and pictures with masking tape. Let's make fashionable memory walls! Decorate plain furniture with Washi tape. It's fashionable! If you give a handmade gift with original bags and wrapping paper, it would be only one gift in the world. Usual ribbons are roughly the same color and the same shape, so why do not you make creative decorations with various patterned Washi tape? If you make an art wall for your important people on a birthday celebration, it would be exciting! Celebration feeling would be up! Why do not you surprise the person who receive it with the decoration of the postage? Putting it on the head of the clip, it becomes a cute bookmark. Cutting the background part and pasting only the parts that you need. Let's make summer-like fan with a simple design one. This is no longer art. The imagination to make it is needed. What do you want to make? What do you think about that? The way to use the Washi tape spreads depending on the idea. Also, depending on where you paste, since it is easy to peel off, you can change it depending on your mood and scene. Just thinking about where to put it will be fun. Why do not you try cute and fun decoration using Washi tape? Then, now why don't you look for your favorite Washi tape and show your imagination. Father’s Day, give a special gift to father who is as hard as mother.